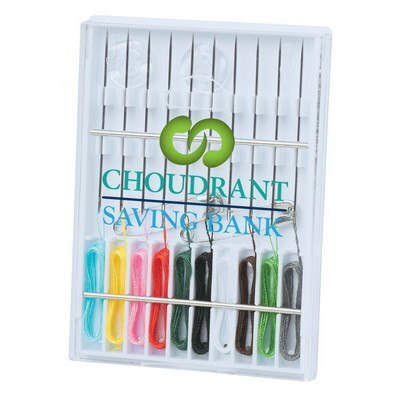 The Sewing Kit has basic color threads and needles making it easy to repair small accidents that may occur with your wardrobe, while traveling, or when you are at work or at home. It has a clear top and a white base. 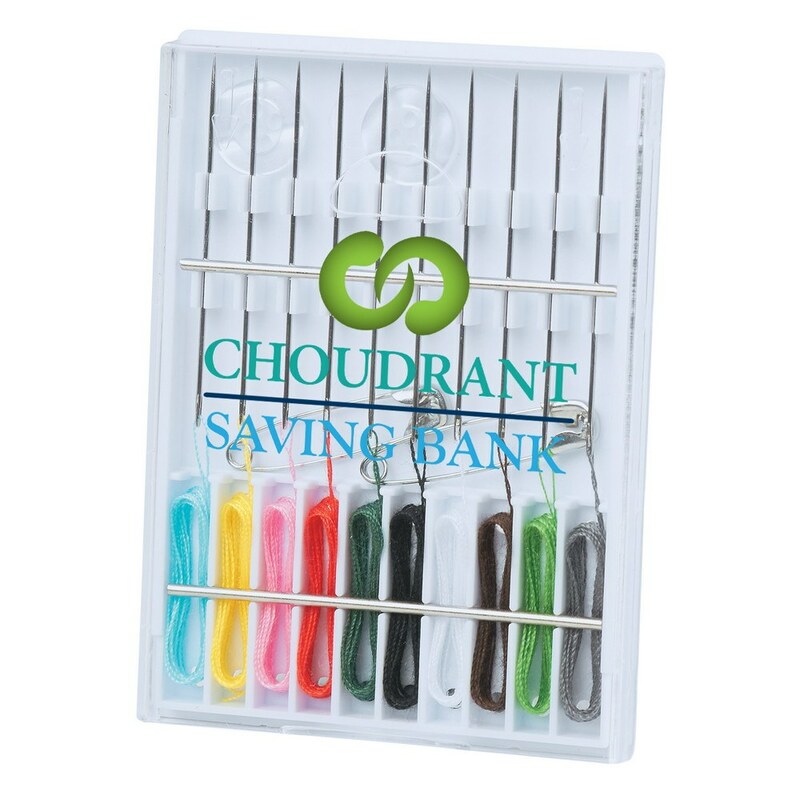 The Sewing Kit has basic color threads and needles making it easy to repair small accidents that may occur with your wardrobe, while traveling, or when you are at work or at home. It has a clear top and a white base. It includes a set of needles and a set of basic color threads to repair most mishaps including tears or openings. Use standard silk screen colors to imprint your brand name and company’s logo on it. Give it away at trade shows, expos, and shopping malls.